Enjoy a snack without guilt by making these Low Fat Cake-like Brownies. 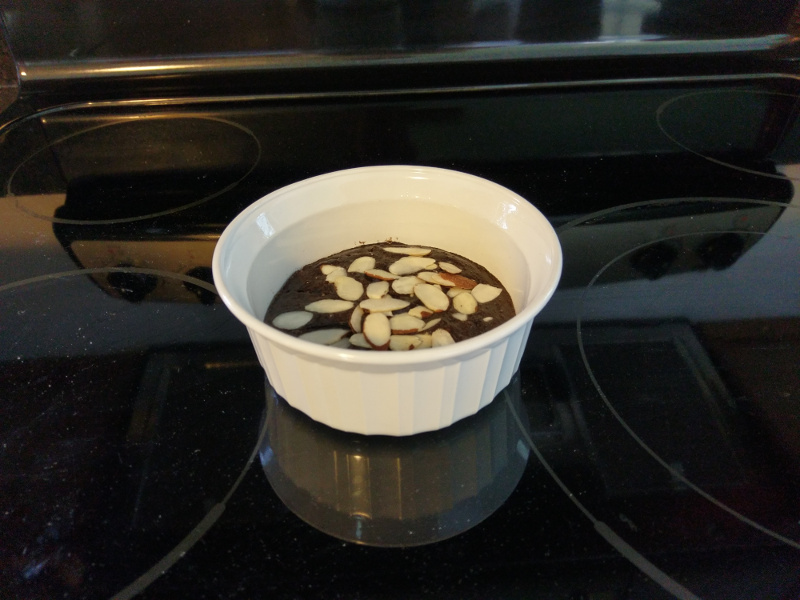 Preheat oven to 350 degrees F. Mix all ingredients except almonds until well blended. Pour into 4 Pam-sprayed ramekins or 1 – 8″ x 8″ baking dish. Sprinkle almonds on top. Bake for 9 – 10 minutes.